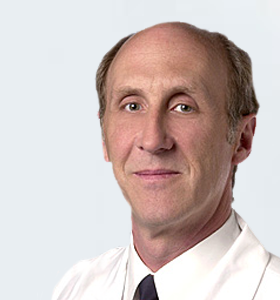 William Hohl, MD is Associate Director of Pediatric Orthopaedic Surgery at Cedars-Sinai Orthopaedic Center. As a member of the Cedars-Sinai/USC Dance Medicine Center, Dr. Hohl specializes in adolescent sports medicine. Board certified in orthopaedic surgery, Dr. Hohl is a fellow of the American Academy of Orthopedic Surgeons and a member of the American Medical Association. He has written articles for several peer-reviewed journals, including Clinical Orthopedics and Related Research and Proceedings of the National Academy of Sciences. Dr. Hohl received his bachelor’s degree from Harvard College and his medical degree from Columbia College of Physicians and Surgeons in New York City. After an internship in general surgery at Brigham and Women’s Hospital in Boston, he completed a residency in orthopedic surgery in the Harvard Combined Orthopedic Residency Training Program and a chief residency in orthopedic surgery at Massachusetts General Hospital in Boston. Dr. Hohl also completed a clinical fellowship in pediatric orthopaedic surgery at Children’s Hospital Boston. Dr. Hohl has been dedicated to the West Coast Sports Medicine Foundations, Team to Win program since the beginning. Call our office to schedule an appointment.